On June 30, 2015, Holly went into surgery for a pelvic mass that was found on an ultrasound just the day before. During the surgery, the tumor was successfully removed and Holly thought all was well. The initial pathology showed that the tumor was not cancerous, but on July 9, 2015, all of that drastically changed. Dreadfully, Holly received a chilling and life-chaning phone call that no one ever wants to receive. The Doctors informed Holly that the tumor was indeed cancer, and she immediately froze with uncertainty. The Doctors briefed Holly on the Stage 1C Immature Teratoma in her body, which she later found out was an extremely rare form of ovarian cancer. Determined and ready to fight, Holly started chemotherapy later that month. After roughly 3 months of fighting and enduring chemotherapy, Holly finished cancer-free on September 29, 2015. 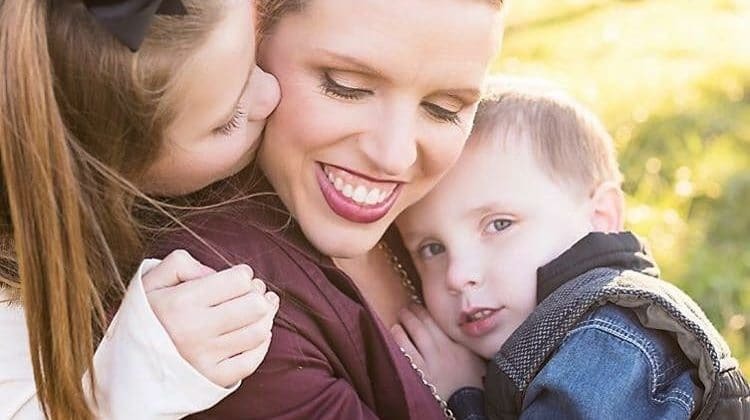 After completing treatment for ovarian cancer, Holly felt the Lord calling her to help other women walking a similar path, and decided to ultimately pay it forward. Holly started paying it forward by making giving-care bags for women diagnosed with ovarian cancer, and later, founded the Team Holly Foundation in efforts to help women undergoing treatment for ovarian cancer.